When the power goes out in your business due to a wiring error or other technical problem, every minute that your team can’t work is one that eats into your profitability. At Tuckey Mechanical Services, Inc., we have a long history of providing commercial electrical repair for the Harrisburg area’s largest businesses. From fixing minor issues to providing complete wiring installations in new facilities, our team of trained experts has the background and the resources available to get the job done right the first time. 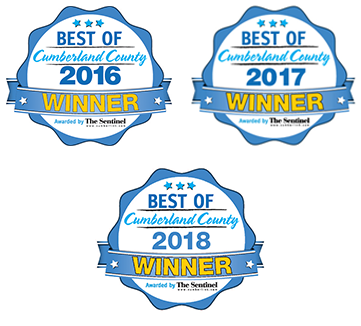 Make us your first call when you need a commercial electrician in York, Chambersburg or elsewhere in central PA.
*For immediate electrical service, call us at (717) 249-1535 . Commercial facilities can range from small retail or office spaces to industrial plants and manufacturing facilities. 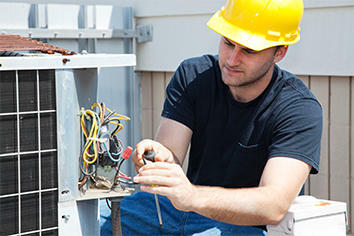 Each of these customers can have different electrical needs at different times. 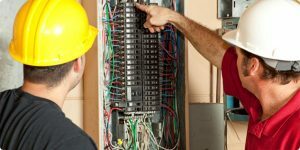 To give you the best service possible, a commercial electrician must have the wide-ranging skills necessary to seek out creative solutions to complex wiring problems. 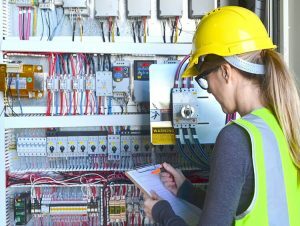 At Tuckey Mechanical Services, our electricians have decades of combined experience working on commercial projects of all sizes, including the design and installation of wiring and circuitry for new buildings, backup power system installation, energy-saving repairs and upgrades, lighting work, and more. 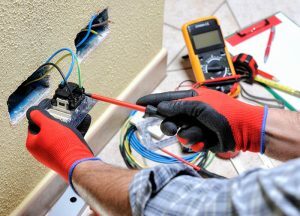 The first step in any commercial electrical repair or upgrade is to meet with a skilled professional and go over your project’s requirements. Tuckey Mechanical Services offers free consultations for all commercial clients – we recommend contacting us early in the project lifecycle so you can have a clearer picture of what the job will entail and budget accordingly. During this initial meeting, we’ll go over your goals and your timelines, identify potential challenges and recommend ways to refine your system design for maximum efficiency. Because our team brings a broad range of experience – encompassing HVAC, plumbing and restoration – we’ll be able to draw from these resources to approach your project in a truly holistic manner. Businesses in Harrisburg, York and throughout the capital region know to call Tuckey Mechanical Services at the first signs of electrical trouble. When something goes wrong with your lighting or electricity – and the problem isn’t due to an interruption in grid service – we can get you back on track with a minimal amount of downtime. Our team will pinpoint the problem, make the necessary repairs and suggest infrastructural improvements that will prevent the issue from recurring. As an independent business, we understand how important it is to quickly recover from outages, which is why we are available around the clock to respond to emergency situations the moment they arise. As a member of the Tuckey group of companies, we’ve been active in the central PA region for more than 45 years. We pride ourselves on the longevity of the relationships we’ve maintained with our fellow businesses, who count on us for expert commercial electrical wiring in Carlisle and beyond. For more information about our electrical repair services or to request an appointment with one of our team members, contact Tuckey Mechanical Services by phone or email today. To contact a Carlisle, York, Chambersburg or Harrisburg Commercial Electrian professional by phone, call (717) 249-3733. To make an online service inquiry, simply submit the convenient contact form and we’ll get back to you!